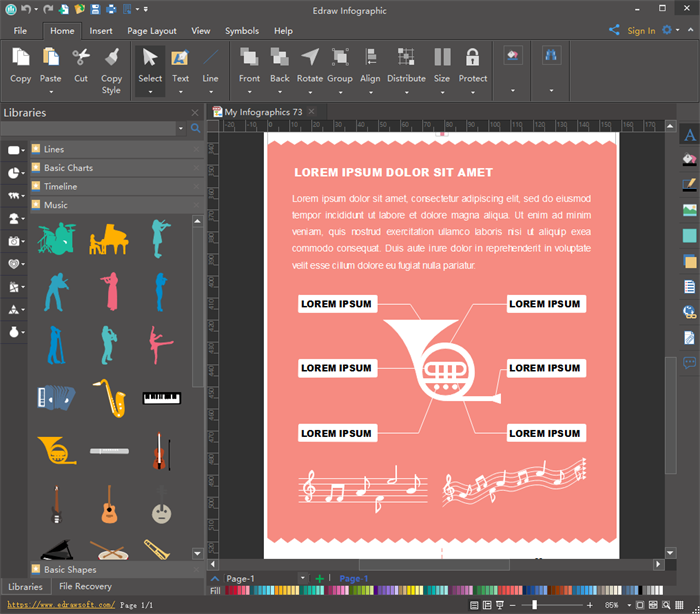 Design music infographics with Edraw infographic maker which requires little effort to produce attractive and professional infographics. 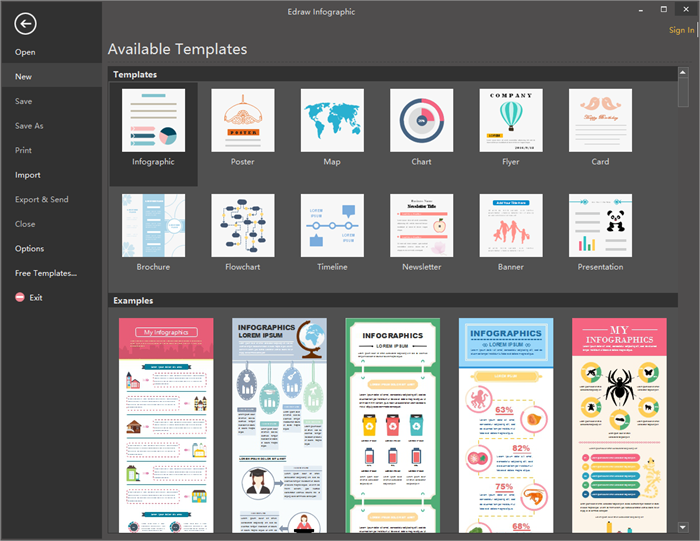 What makes Edraw infographics maker one of the best infographic software is its numerous and ever-increasing infographics elements & templates. Besides that, all the elements and templates are easy to drag, drop and edit, which simplifies the drawing process to a great extent. 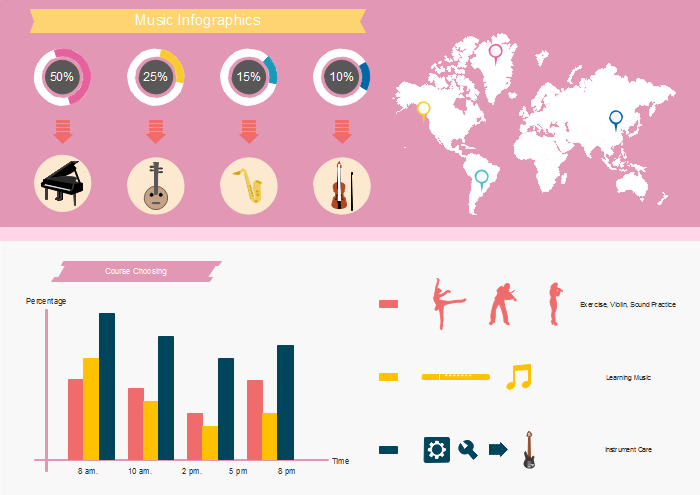 Create your music infographics with built-in music elements & templates and enjoy this effortless and quick drawing process. 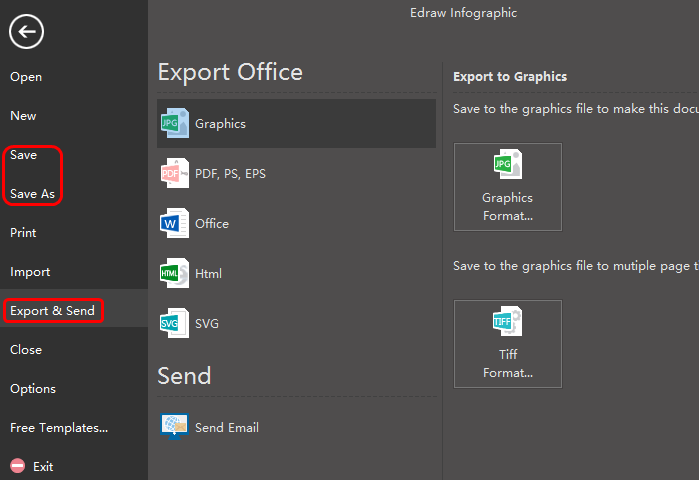 Launch Edraw infographic maker, go to File menu > New, and then double click the icon of infographic under templates window to open a blank drawing page. Drag music symbols from left libraries and drop on the drawing page. Just edit the symbols if necessary, such as changing the color, dimensions and directions to fit the situation. Go to Home page and click Text to add key contents or users can just press ctrl+2 directly, then finishing typing by clicking any blank area or clicking Select under Home page. There are various backgrounds for different users to choose. 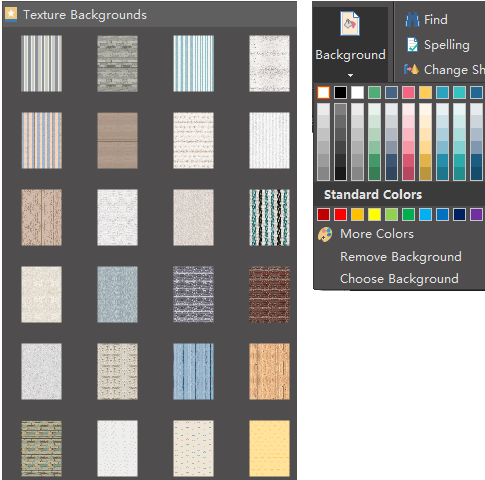 For users who prefer simplicity, click Background under Home page to choose a single color background; for users who prefer specialty, navigate to left libraries again and select a texture background. 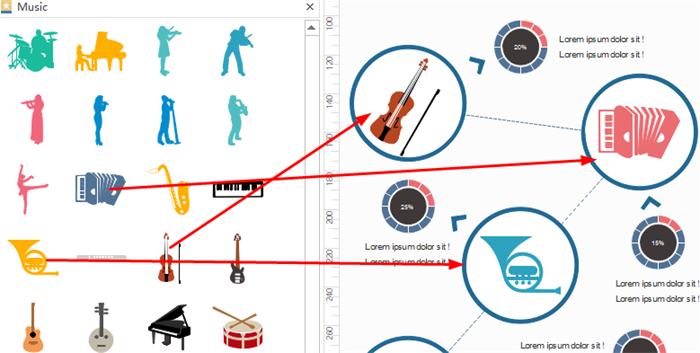 After finishing the music infographic creating, users can click Save on File tab to save the infographics as the default .eddx format; or for sharing more conveniently, users can also choose Export & Send to under File menu to export the infographics to common formats such as Word, Excel, PPT, PDF, SVG, or even Visio. 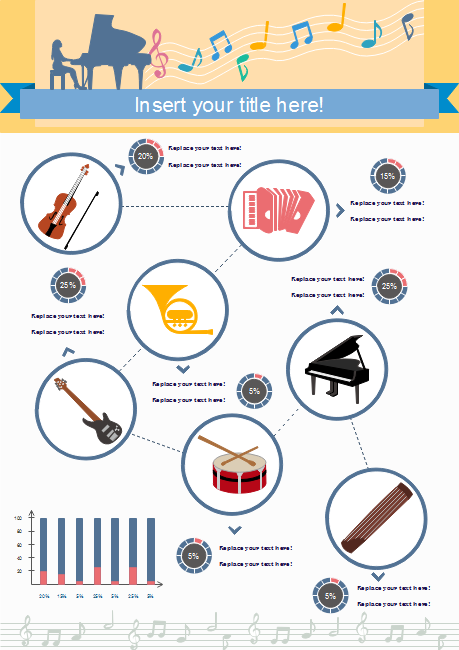 Below are examples of music infographics created by our infographic maker. All the examples are free to download, edit, print and share! 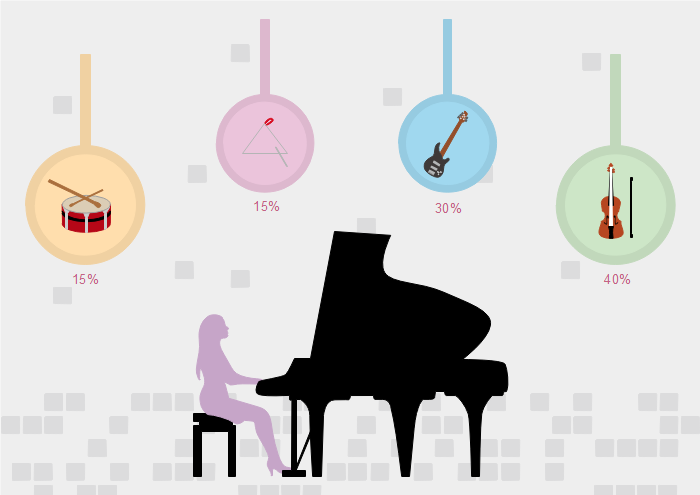 Welcome to download and customize your own music infographics!